After a protracted stand-off over state spending on schools, the two political parties have agreed to a status quo level of state aid to K-12 public schools for the school year that begins this fall. However, the agreement calls for two percent more in per-pupil state aid in the following year. Representative Cecil Dolecheck, a Republican from Mount Ayr, helped craft the final deal. “It’s a compromise that’s pretty close to middle ground,” Dolecheck says. Republicans had proposed ending state-funded preschool programs, but Democrats objected. This year, the state spent about $3600 on each four-year-old enrolled in public preschool programs. The compromise calls for reducing that state spending by about $700 per student. 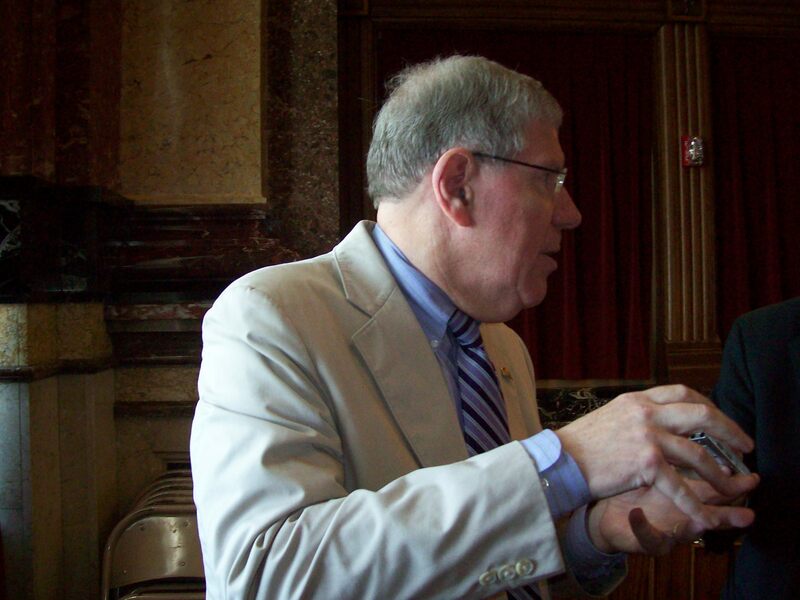 Senator Bob Dvorsky, a Democrat from Coralville, is chairman of the Senate Appropriations Committee and he sees that as a victory. “There’s a lot of support for preschool out there,” Dvorsky says. Dvorsky says school districts needed that extra $700 per preschooler the past few years as programs were started, but Dvorsky says preschools should be able to easily operate on with about three-thousand dollars per student in the coming year. The Iowa House has just endorsed the education budget bill, which includes spending for the state-supported universities and community colleges, too. The Senate is expected to take up the plan soon. The next state budgeting year begins Friday, July 1 and legislators are racing to strike final deals and pass bills that outline the final details of a nearly $6 billion state budget. There is a budget-related dispute over abortion policy which remains unresolved. The effort to enact a major property tax reform package has been abandoned today, but Governor Branstad is hinting he’ll press the issue, perhaps in a special session later this year.